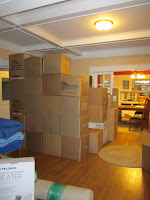 Jeff and Sharon have been industrious this week and they're mostly ready for the movers. There goes the master bedroom—again. 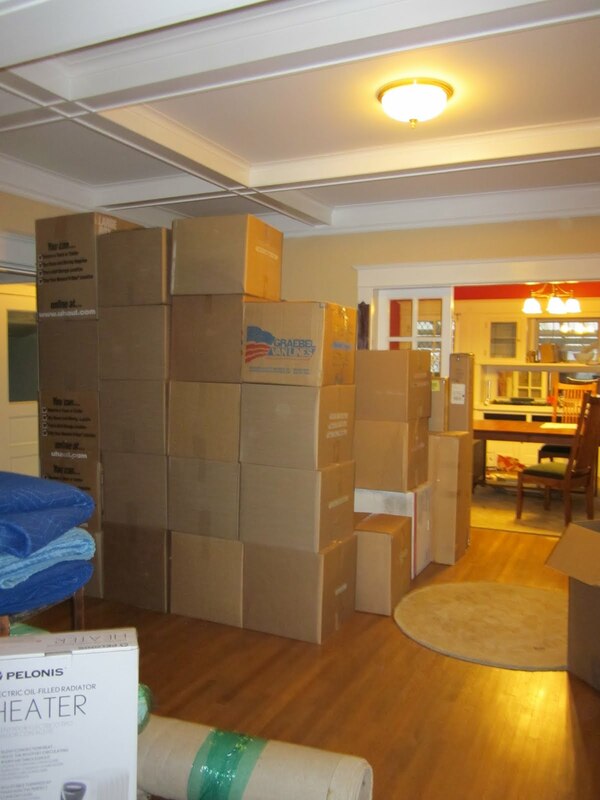 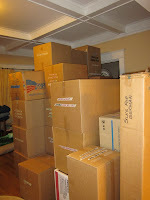 The living room is full of boxes. 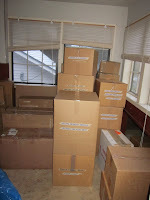 And the furniture throughout the house is empty and ready to wrap with moving blankets for storage. 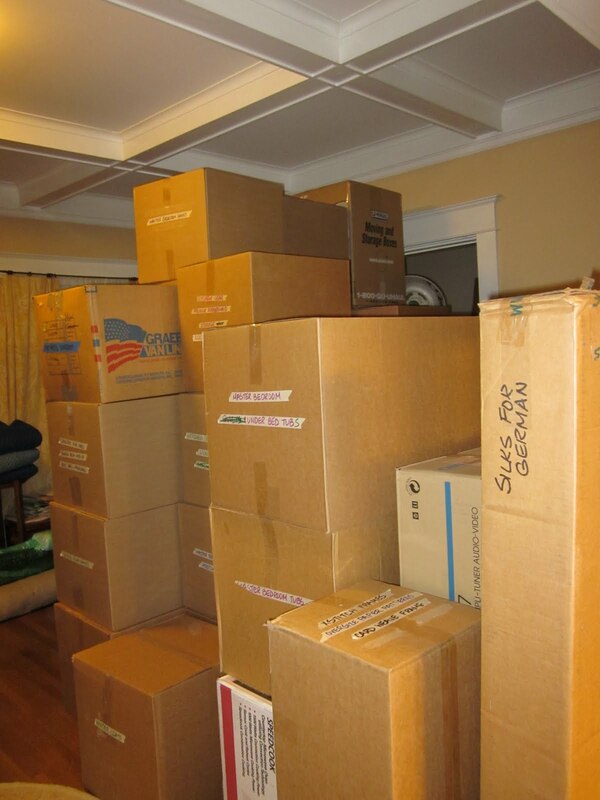 The movers are due tomorrow morning at 9AM.